IT’S TIME TO TRIM DOWN FOR THE HOLIDAYS! 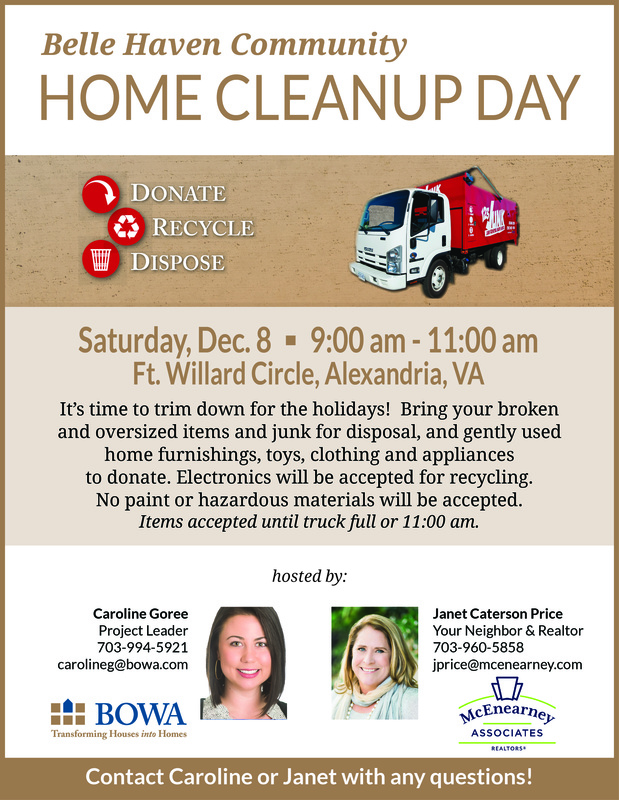 Please join us for our upcoming Alexandria Home Cleanup Day on Saturday, December 8th, co-sponsored by BOWA and your neighbor, Janet Caterson Price of McEnearney Associates in Old Town. It’s our way of saying thank you to the community in which we live and work. Let us help you get ready for the holiday season and assist in disposing of your unwanted clutter! We are pleased to be partnering with 123Junk who will be on hand to collect items for donation, recycling and disposal. You can read more about 123Junk’s charity partners as well as acceptable items by clicking here. What: Broken & over-sized items and junk for disposal, and gently used home furnishings, toys, clothing and appliances to donate. Electronics will be accepted for recycling. No paint or other hazardous materials will be accepted. 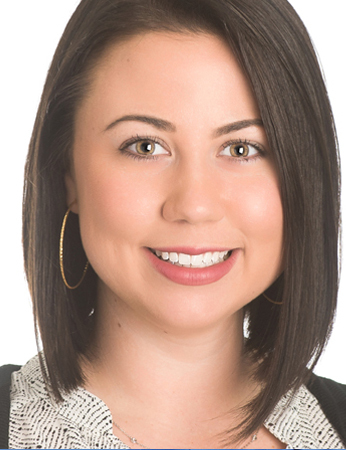 For more information: Call Caroline at 703-994-5921 or Janet at 703-622-5984.